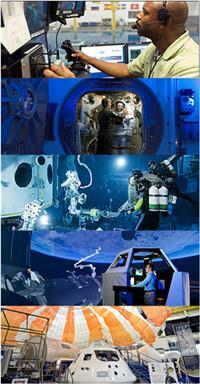 Imagine having the NASA Johnson Space Center’s engineering and scientific facilities and capabilities available to you…. We invite you to explore Johnson Space Center's world-class expertise and capabilities, including an established infrastructure, unique engineering facilities, integrated project management, safety and risk analysis, human habitability, health and performance expertise, and proven design, development, testing and operation of complex systems designed for extreme environments. We are committed to helping you leverage JSC expertise and capabilities to meet your goals.